Rosh Hashanah begins this year at sundown on Wednesday, September 20 and extends until nightfall on Friday, September 22. Rosh Hashanah, which translates as head of the year, is the Jewish new year and commemorates the anniversary of the creation of Adam and Eve. This Rosh Hashanah we will mark 5778 years since creation. To learn more about Rosh Hashanah including recipes, stories and meaning click here. Yom Kippur begins Friday, September 29 at sundown and extends until nightfall on Saturday, September 30. Yom Kippur is the day of atonement and the holiest day on the Jewish calendar. Tradition tells us that on Rosh Hashanah individuals may be “inscribed” in the Book of Life. On Yom Kippur the decree is “sealed”. Repentance, prayer and charity can positively affect the fate for the upcoming year. 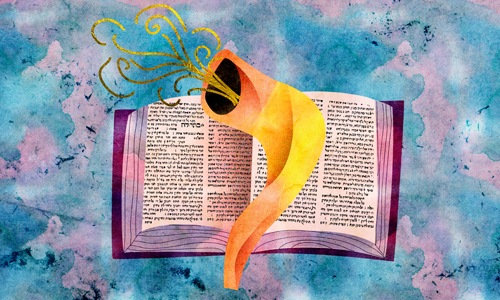 To learn more about Yom Kippur including recipes, stories and meaning click here.